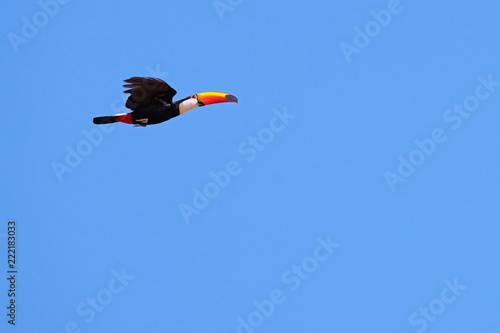 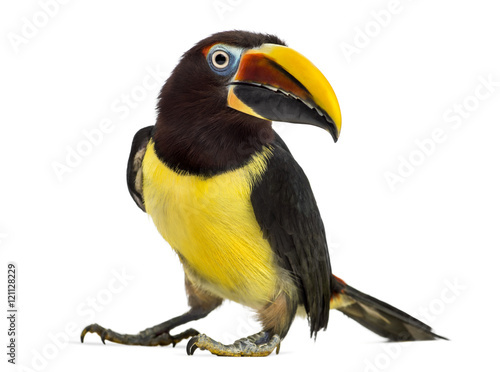 Bird with open bill. 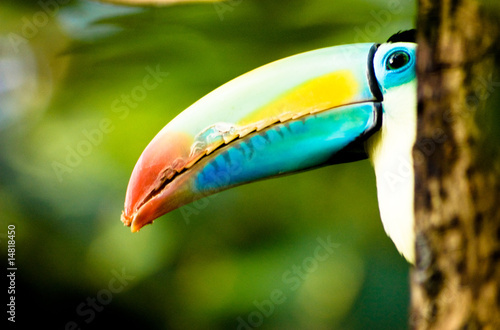 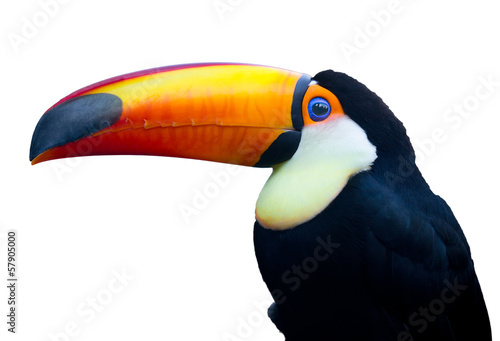 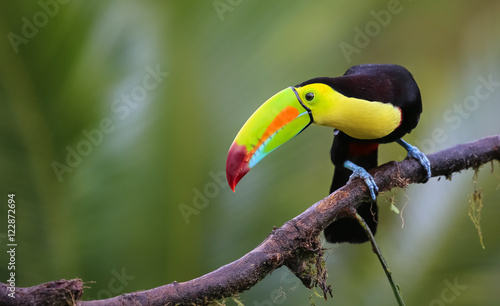 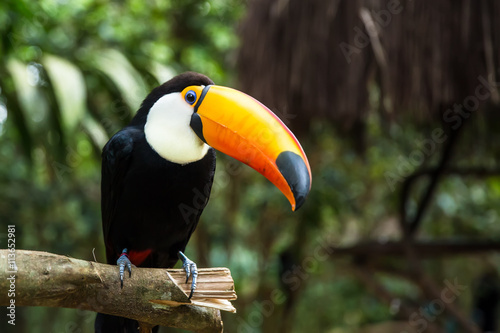 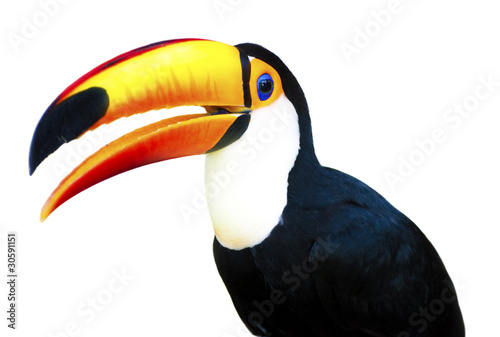 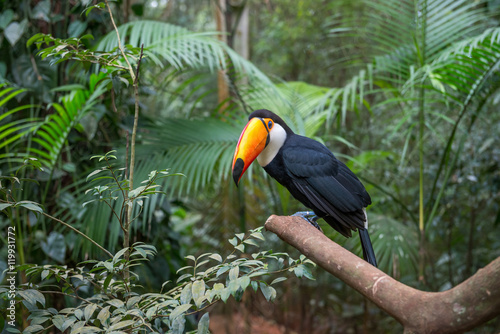 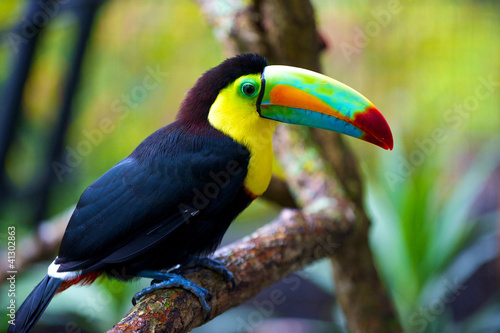 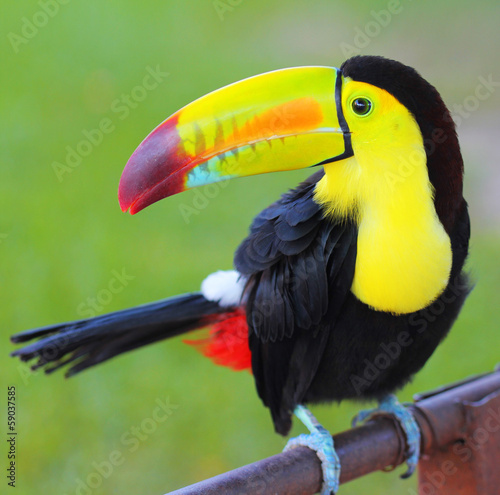 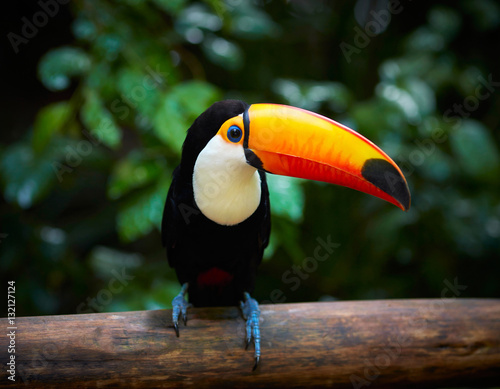 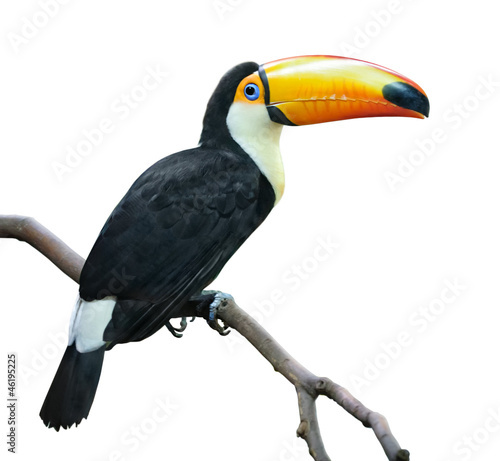 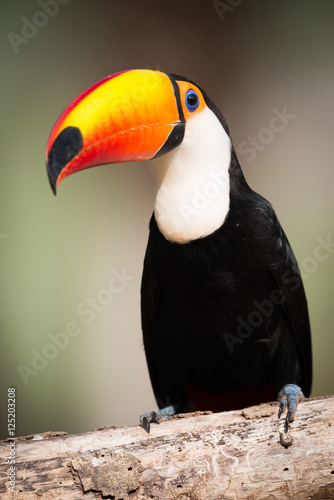 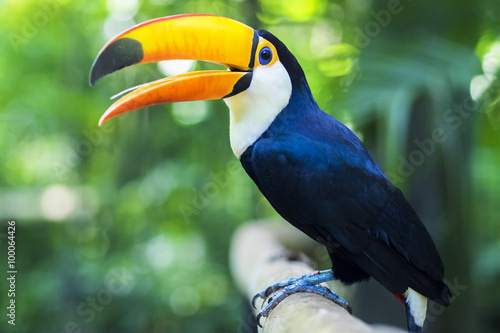 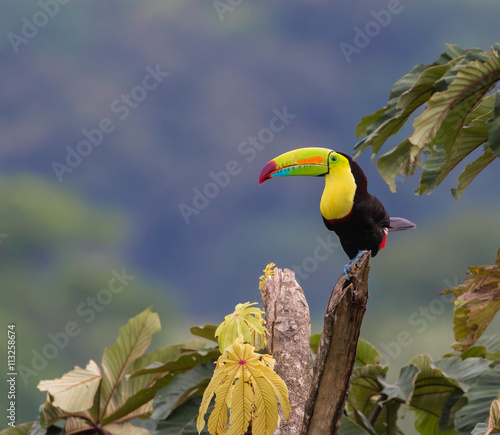 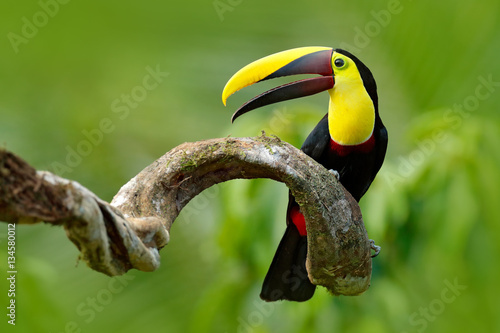 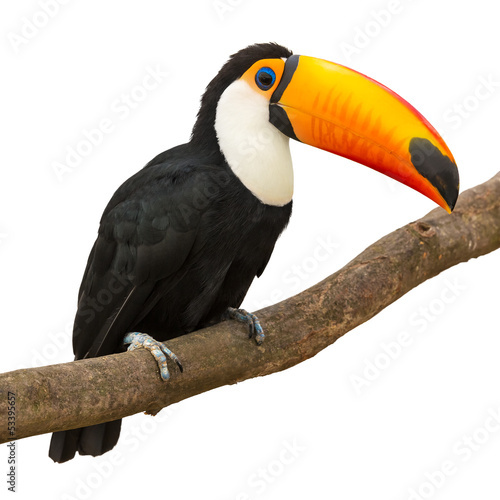 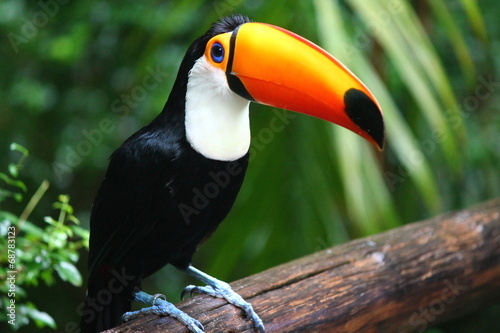 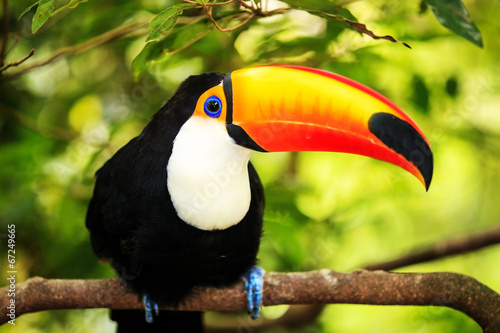 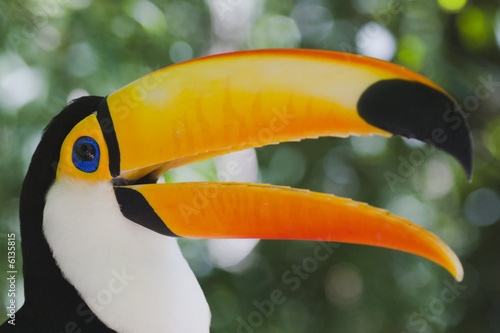 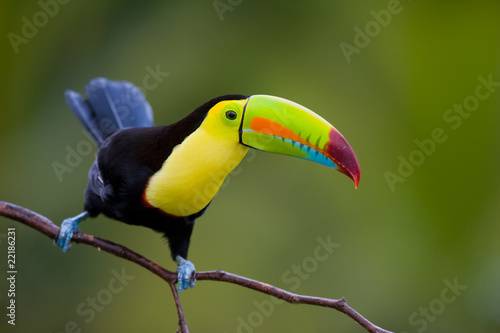 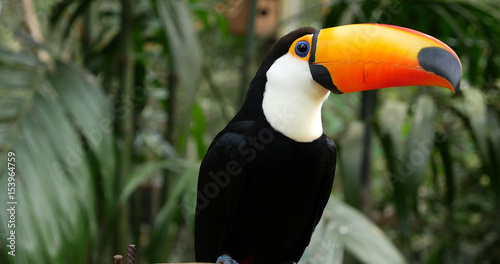 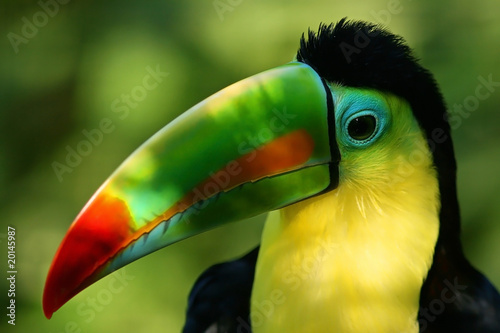 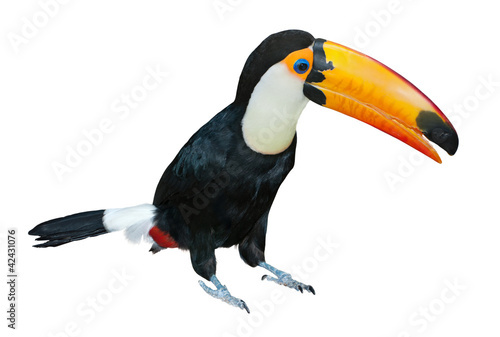 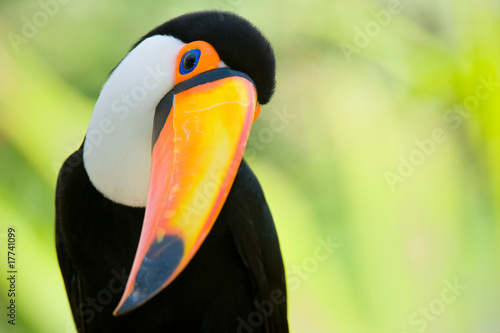 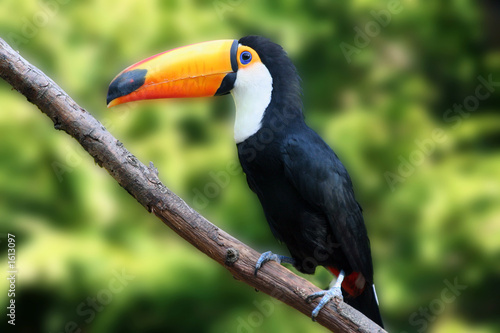 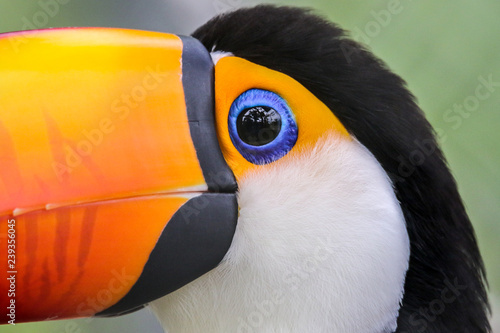 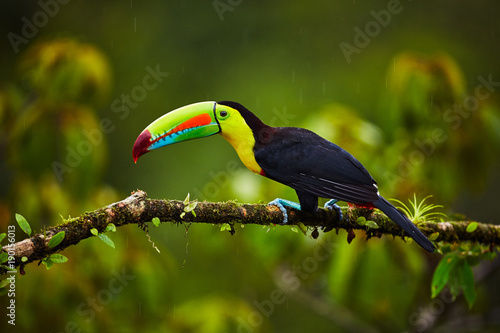 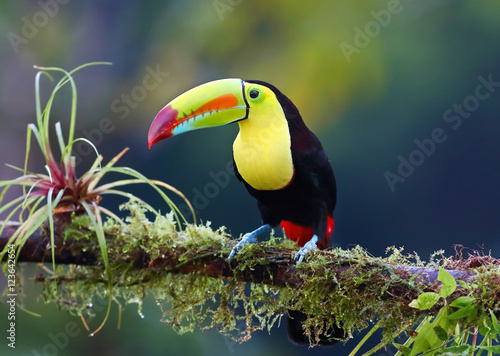 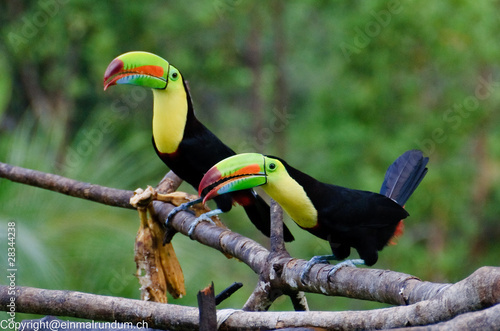 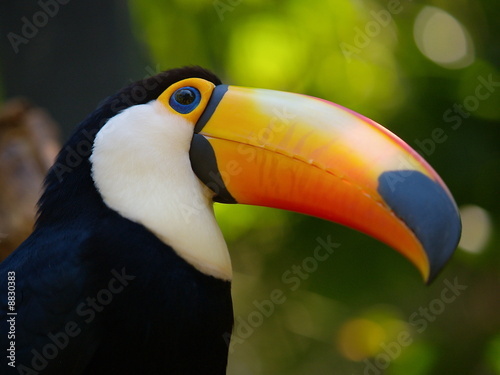 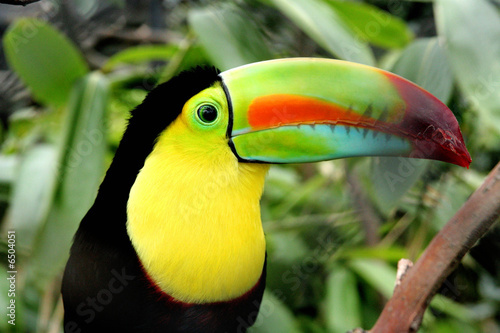 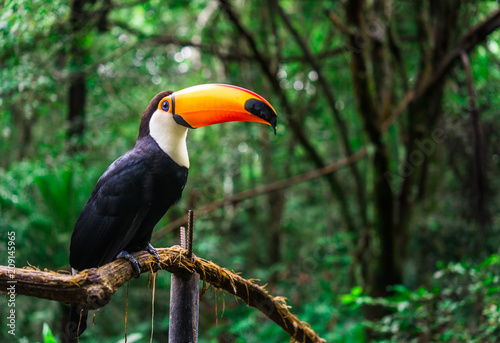 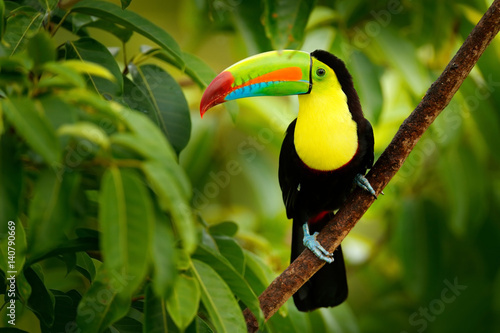 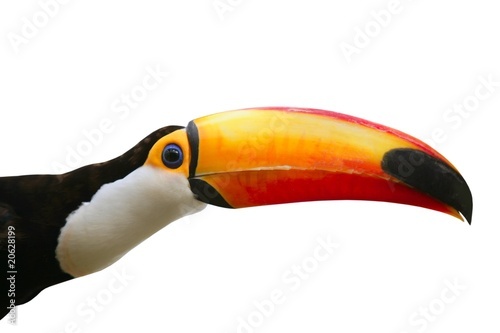 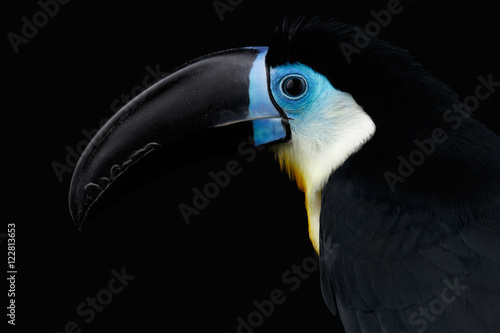 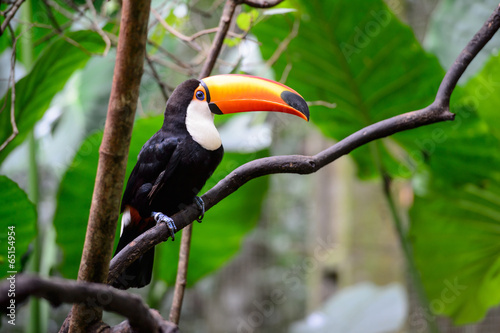 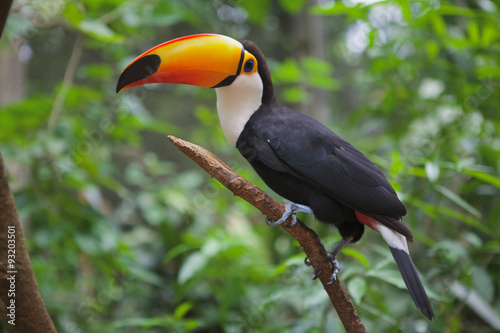 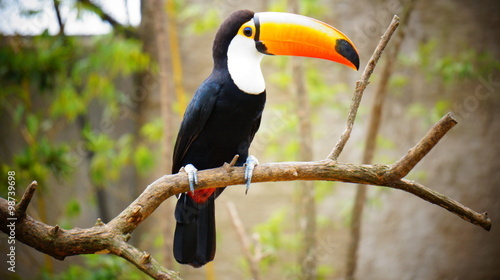 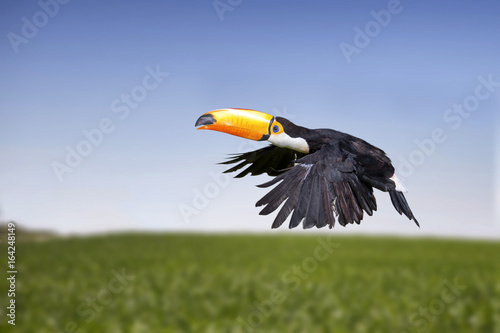 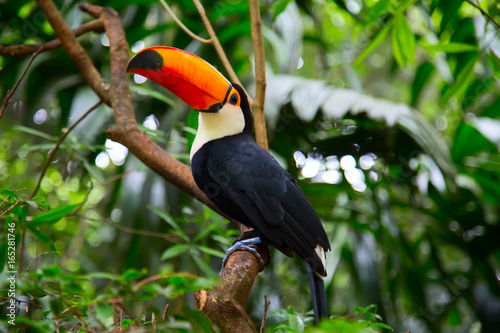 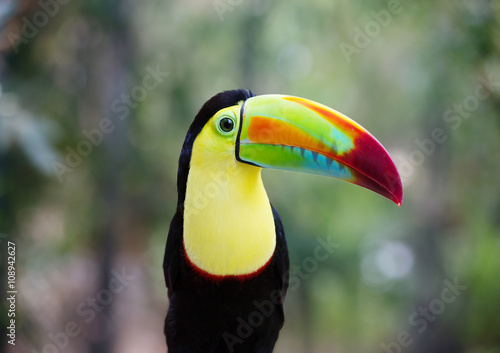 Big beak bird Chesnut-mandibled Toucan sitting on the branch in tropical rain with green jungle background. 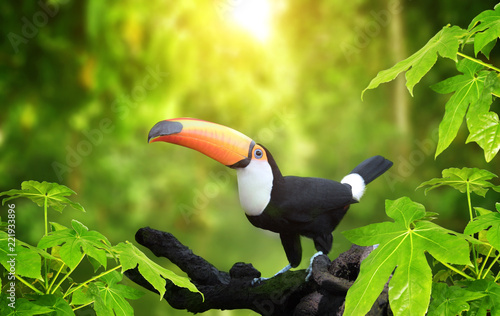 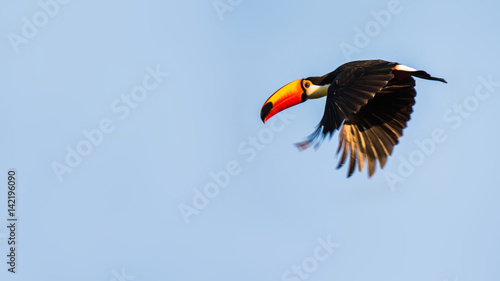 Wildlife scene from nature with beautiful bird with big bill.